The runner is very sweet--and it looks lovely with your feathers all over it. I love that you left the one HST wonky. 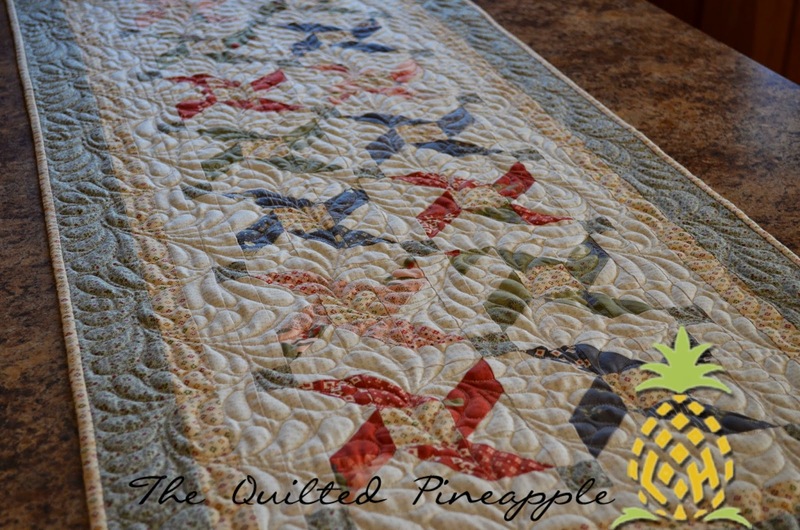 I just recently unpicked a piece to correct an errant HST, only to discover a twisted 4 patch when I had it half quilted. Needless to say, I left it. 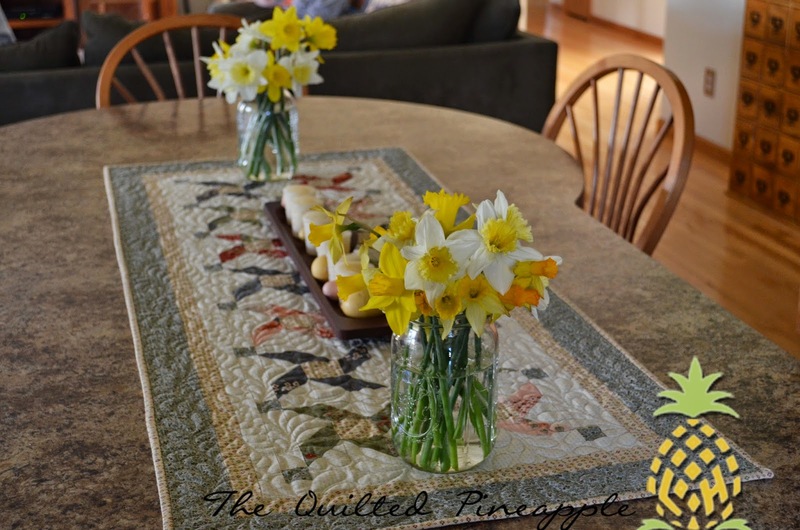 Love your table runner! Just lovely with the flowers too. 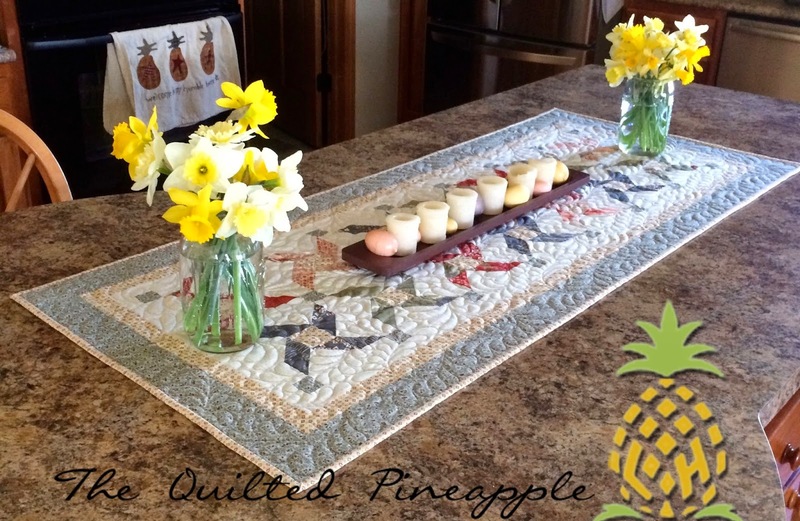 That is a beautiful runner and the quilting is perfect for it. 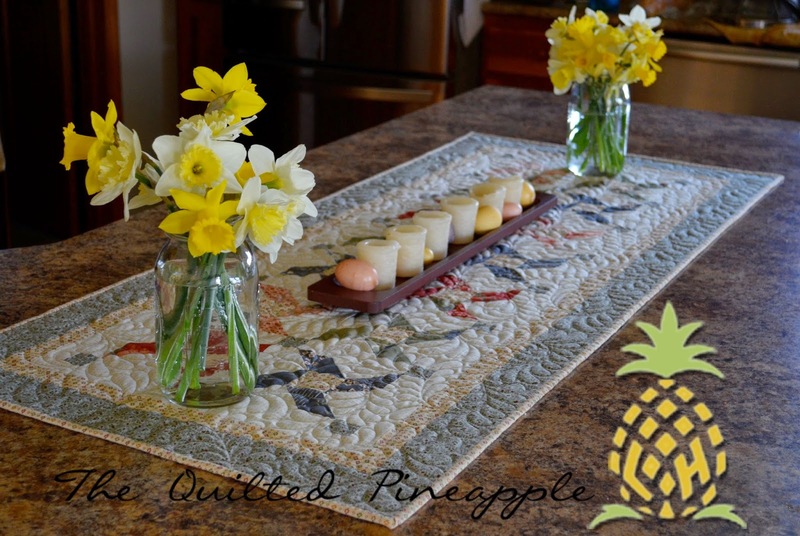 I love your table runner!!! 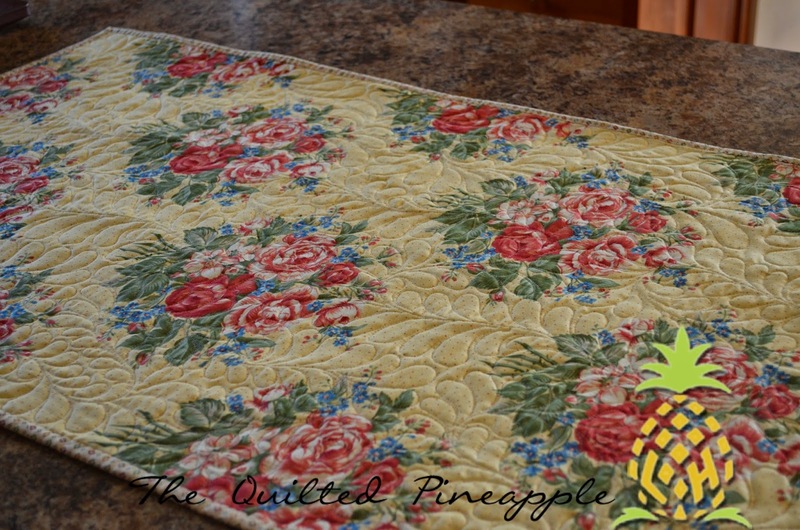 Magnificent quilting! Glad you were there for your daughters' dancing. Those years go by too quickly. 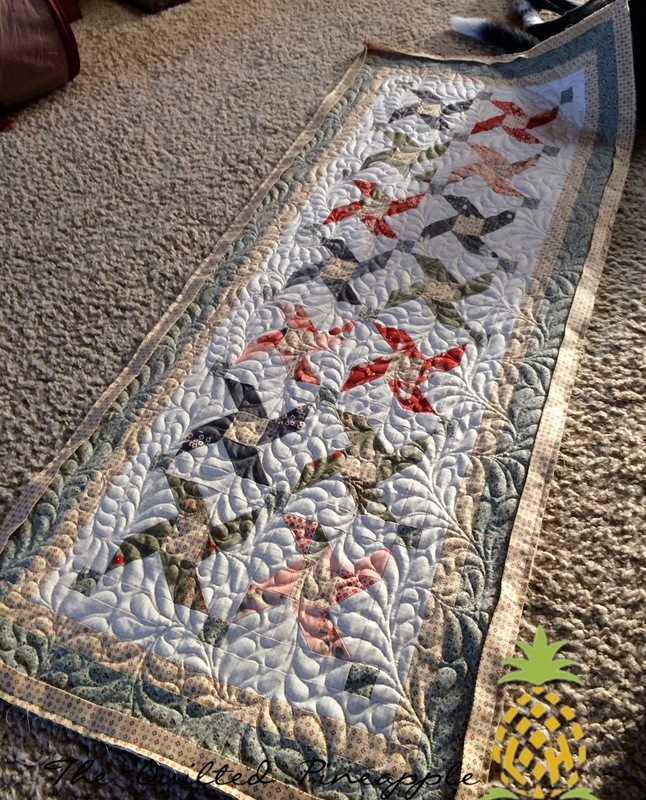 Your color combo and feathers look so perfect and makes the runner look so gorgeous! 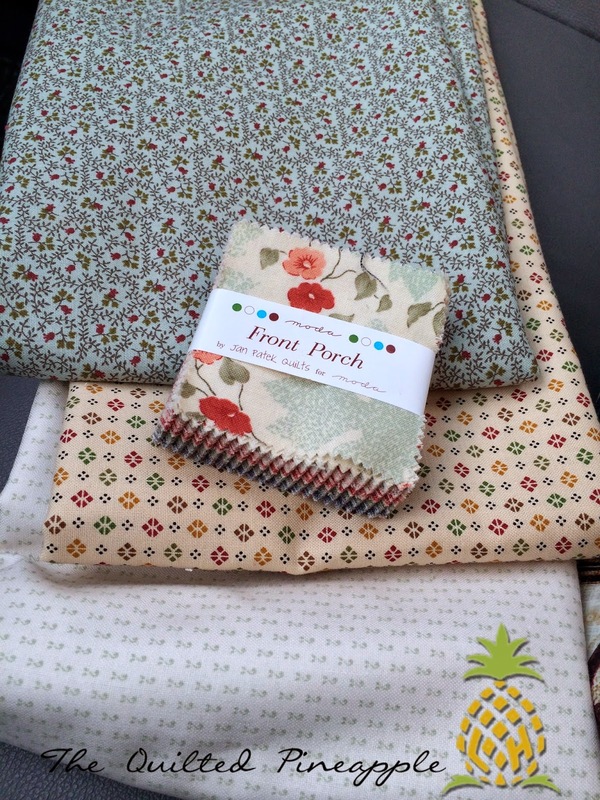 Such a beautiful runner.Love your fabric choice.Have a great weekend! 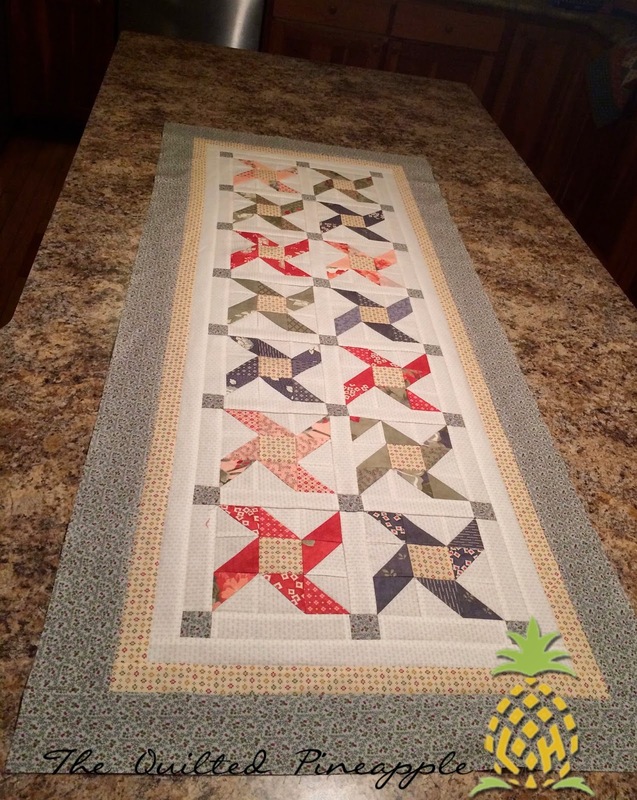 Oh it's another sweet runner with beautiful quilting, Linda! 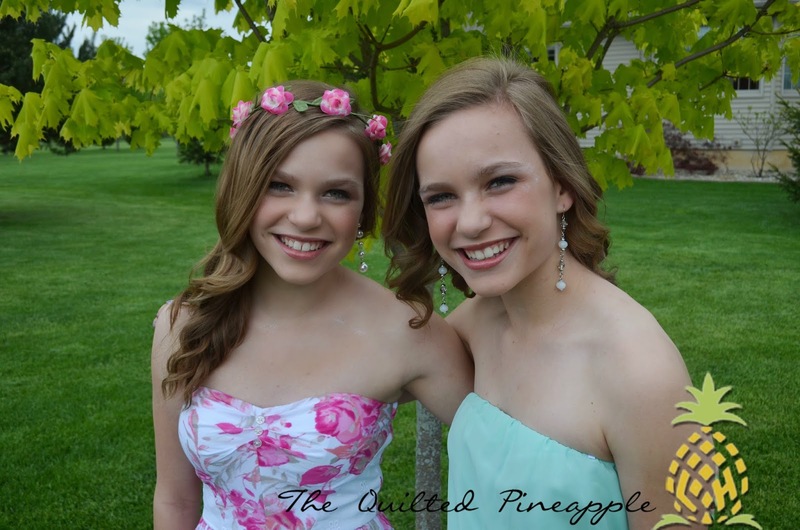 Your girls are just lovely young ladies! And they look just like their mama! Your runner is beautiful!! 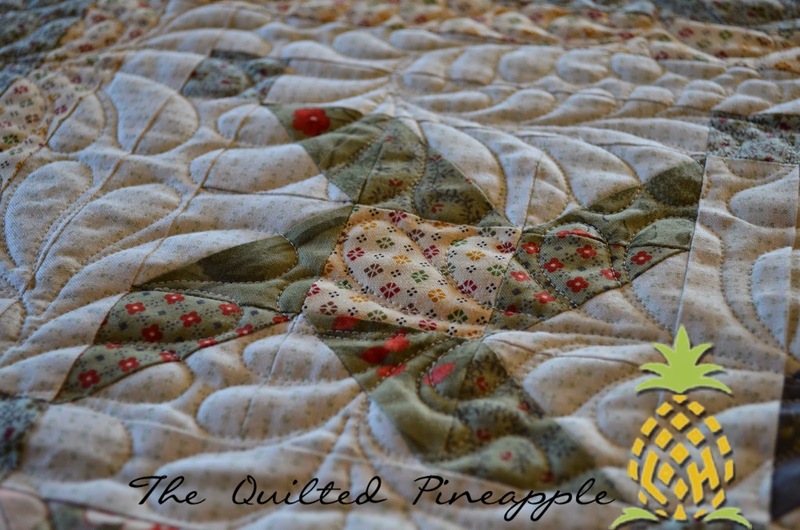 The quilting is just gorgeous! Stop with all these cute projects!!!! 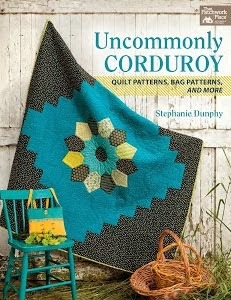 I want to make this one too... in addition to everything else you post!!!! 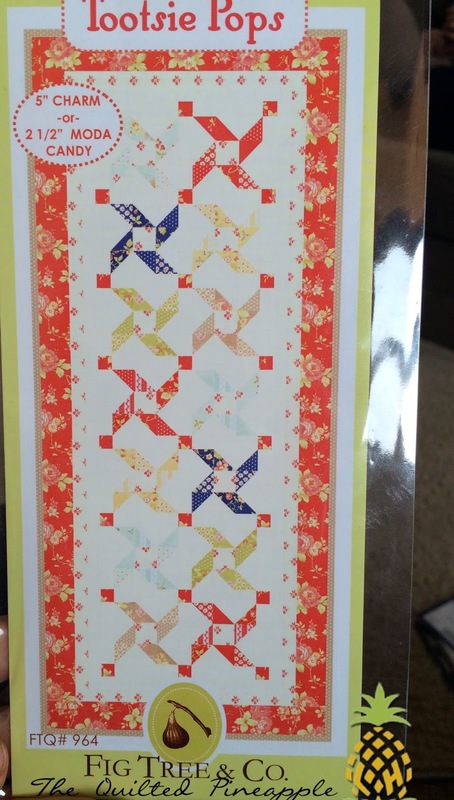 So many possibilities with this Tootsie Pops pattern... love it! 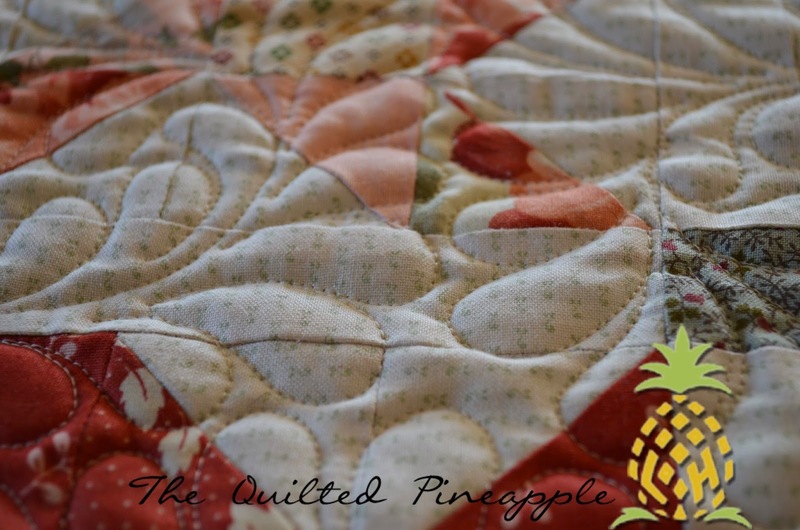 Your quilting is amazing, how do you learn to do that freehand? I have problems stitching in the ditch! Love the runner! I think it would look good for every season. Your decision to stay with your girls is something they'll remember. I love the fact that you left that little mischievous block in! You could name the project, "You Can't Make Me!" Thanks for posting again. Wise choice on being home for the dance. 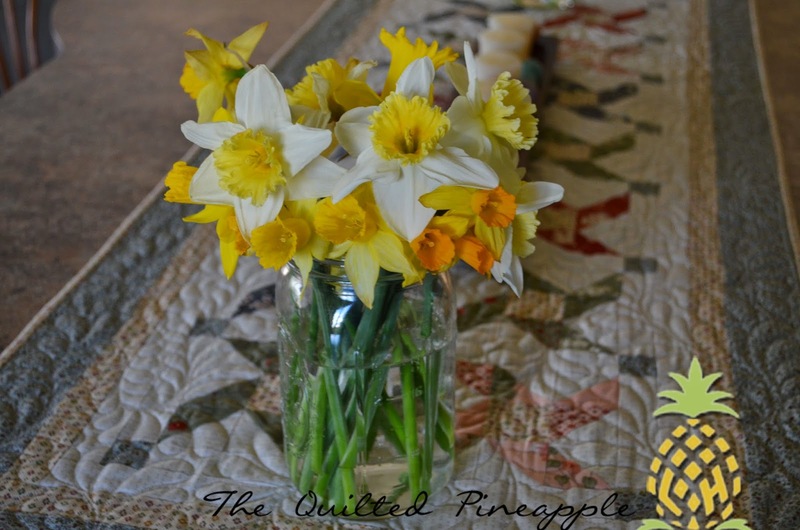 There will always be a spring market. You're exactly right about attending dance concert. 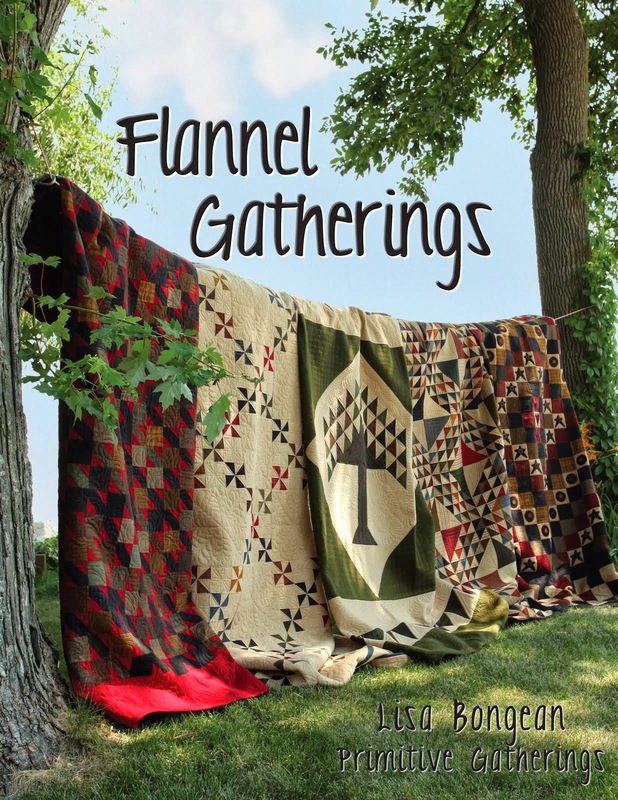 There'll always be another quilt market and our kids will never be the same age again.